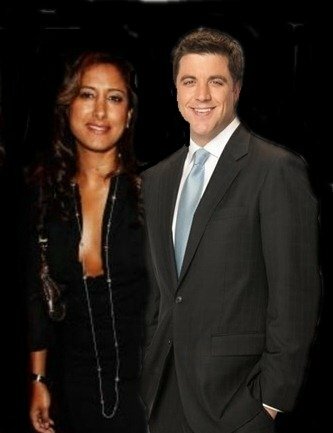 Former Good Morning America anchor Josh Elliott is divorced from Priya Narang, the mother of his 5-year-old daughter Sarina. Marriage didn’t work and after their divorce in 2012, Priya Narang has the primary custody of their daughter, Sarina. Josh Elliot and Priya Narang’s marriage ended because his multiple infidelities. 6ft 5 inches Josh Elliott, 42, is currently working for NBC Sports. He previously worked as the news anchor for ABC’s Good Morning America. The journalist had worked for the LIVE show from ESPN: Sports Center. He also was a co-host on Cola Pizza and NEWS and First Take from ESPN. Josh Elliott went to Loyola High school in LA and University of California at Santa Barbara and Columbia University of Journalism. He was a TV producer for Galaxy Productions and then changed to 20th Century Fox. One of his first jobs was on Sports Illustrated. Josh Elliott’s ex-wife Priya Kumari Narang was born on September 2, 1968, in Westport, Connecticut. Priya Narang graduated from the University of Vermont. There was a time when Priya Narang was starting her outstanding advertising career with Young & Rubicam where she served as media planner, she was responsible for all BMW’s media, DeBeers, Bacardi,Volkswagen, Sprint with DeWitt Media, for five years she was an associate publisher of marketing at Vogue. Priya Narang is today a VP-Global media with Citibank National Association.